When economic times are tough, we all have to work harder to identify new opportunities to maintain business growth. One option is to look and see what we can learn from working closely with others in the same industry. By putting greater emphasis on close working relationships and sharing knowledge, success will be easier to achieve. If we apply this theory to our industry then locksmiths can learn a great deal from lock manufacturers, and vice versa. That’s why we’ve decided to share our expertise with you, and in return we are hoping that you will share yours too. We understand that when you run your own businesses, time can be the limiting factor when trying to keep up to date with the latest product developments and technology. There are thousands of access control products on the market today, all of varying quality and purpose. But just sticking to what you know can be limiting for the long-term future of a business and will not encourage customers to adopt new products when they are launched into the market. For example, take basic digital mechanical locks. Many of these products have been sold and installed since they were introduced in the early 1980s. Since then we’ve also seen the introduction of digital electronic locks, many of which can be used to upgrade the mechanical lock as they offer much more in terms of functionality. Yet mechanical push-button locks are still being specified and this represents a huge opportunity for the locksmith who has taken the time to understand the benefits of the electronic keypad lock over its mechanical counterpart. We’ve recently introduced free training courses for locksmiths at our HQ in Newbury, Berkshire. 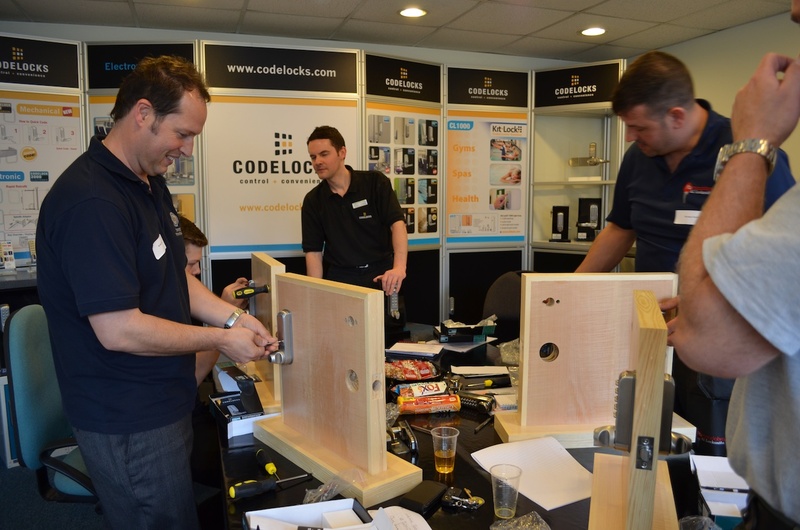 The training course is designed for those who want to refresh their technical knowledge of keyless door locks and familiarise themselves with the full Codelocks product range. We give installation advice, as well as tips for servicing and programming. The training takes place in a hands-on environment, which is not something you can achieve by looking through wholesale catalogues. Gaining an in-depth understanding of our product range will make it easier to identify new business opportunities, and gives you more confidence to specify and recommend new products to your customers. Knowledge sharing shouldn’t be all one-sided. We too have a lot to gain from the feedback you can give. Having day-to-day contact with end users, you have a valuable insight into the applications for the locks you specify. Feeding this information back to us, along with information about the common problems end-users face is invaluable market knowledge. We’d love to hear from you if you are interested or willing to test our products and write a review, or if you have an interesting or unusual application for our products. If you can send this information to us we’ll share it on our social media sites (Google+ and Facebook), meaning that other locksmiths can benefit from it too. Here is a good example of a product review for our CL2000 electronic door lock. Thanks to Darrel Walters at Locks Online for this one. If you have any other suggestions on how we might help you, then please let us know.